Before Thursday’s qualifying got underway, Aston Martin Racing called a press conference to unveil its new baby DBR9. To be known as the DBRS9 (R – ‘Race’, S – ‘Sport’), this car will be aimed at teams and individuals who want to race in club and national events, or indeed track days. Prodrive’s David Richards described the car as the ‘spiritual successor’ to the DBR9 and will very closely resemble its big brother. It takes its cues from the DBR9 and will have carbon fibre body panels, while the chassis and engine will be standard DB9. Target figures are 1280kg, 550bhp and a power-to-weight ratio of about 430 bhp per ton. The price is expected to be around £175,000, with deliveries commencing at the end of this year, and it will be capacity-restricted to about 50 cars per year (as opposed to a limited production run for the DBR9 of 32). Also in the conference, David Richards confirmed that 12 firm orders had been taken for customer DBR9s. Some were destined for the FIA-GT Championship; while there would also be “representation in America and hopefully the Le Mans Endurance Series” (see below). Richards would not be drawn on AMR’s possible participation in this year’s Petit Le Mans, stating merely that the team would re-evaluate its programme after this race. 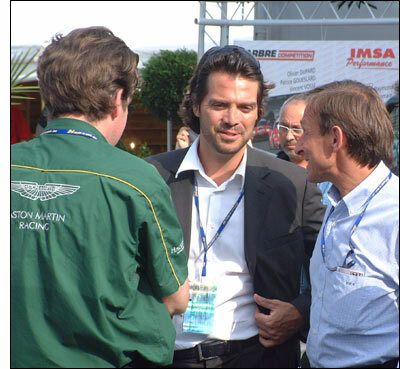 Aston Martin boss Dr Ulrich Bez asserted that the DBR9 project was a long term one and that he was hoping for a World GT Championship in 2007, with (completely) harmonised FIA and ACO regulations. 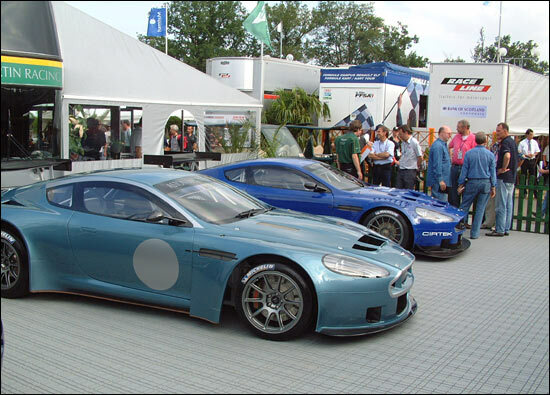 Dr Bez himself selected the colour of the DBRS9 on show here at Le Mans: it’s ‘Elusive Blue’, from the Aston Martin range. There were other 'names' present from the world of GT racing, right. Graham Humphrys, Chief Engineer for Motorsport at Aston Martin, helped clarify where the DBRS9 fits into current GT racing categories. Basically, it doesn’t – at the moment. Rob Schirle was reluctant to spill too many beans, but told our Janos Wimpffen that he had some DBRS9 customers who wished to run in the V de V series. Graham Humphrys suggested the SPEED Challenge GT series as another ‘home’ for the DBRS9. “Basically it’s been designed to fill a hole that we think is there,” explained Humphrys. 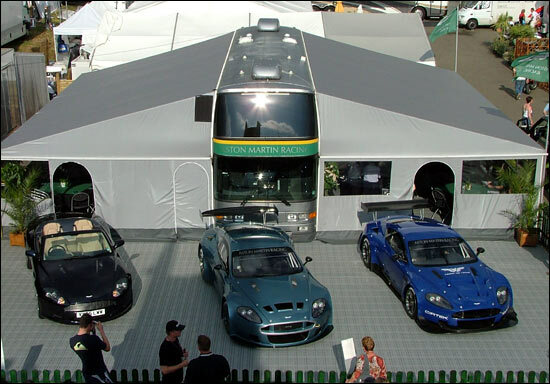 So while we have all the Aston Martin Racing figureheads at hand, what about DBR9 numbers for 2006? Aston Martin Racing Commercial Director James Turner had the answers. 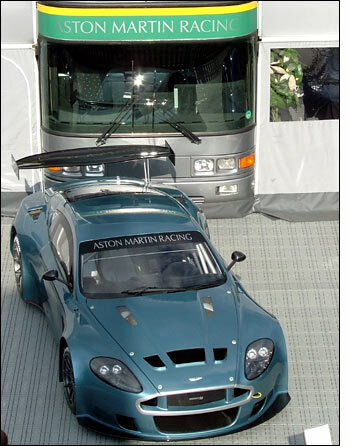 The Russian Age DBR9 here is chassis number DBR9/101 – “the first of 20 customer chassis,” comments James Turner.